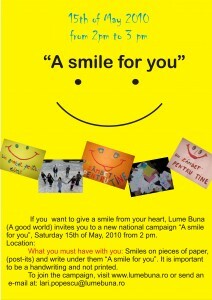 Last year i took part in the “A smile for you” campaign. 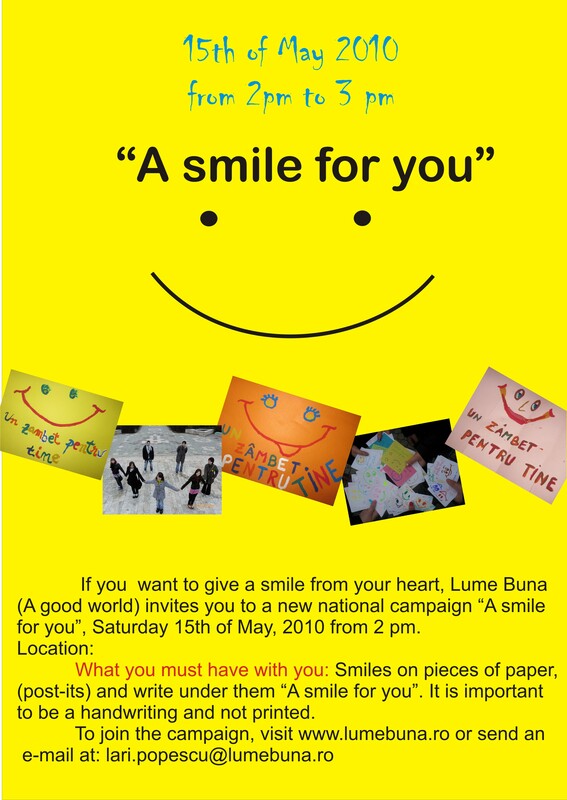 It was the third local campaign for spreading smiles and the first national one. This year, order we go international. “A smile for you” will be happening in 12 city around the world: Frankfurt – Germany, Tartu – Estonia, Oslo – Norway, Utrecht – Holland, Kandersteg – Switzerland, Miami – USA, Algiers – Algeria, Aarhus – Denmark, Thessaloníki – Greece, Istanbul – Turkey, Famagusta – Cyprus, Elazig – Turkey and Cairo – Egypt. We aim to make 1,000,000 people smile!!! ?????? ????? ?? ???????? ????????? ???????? ????????????? ???? ?????? ???????????? ????? ??????? ??????????????????? ????????? ????? ????????????? ?????? ?slot oyunu????????? ????????? ????? ? ???????????? ????? ??????? ???????? ??? ?????? ? ?????????????? ? ???? ???? ???????????? ????????????? ?????????? ????? ????? ????????? ? ?????? altezza travel?????? ?????? ?????? ??????????? ?????? ??? ?Dubai escortsmigliore ?????????? ??? ??????????? ????????? ??? ?????? ?????????? ????????? ??????????? ?????????????????? ????? ??????????????? ??????? ?????????????????? ???????? ??????? ????russitaly.ru?????? ??????? ????????????? ????? ? ???????? ????????? ??9?????????? ? ????????????? ???????? ?